The Rothko Chapel will host Asma Uddin in a conversation about how women shape visions of the divine in Islam. 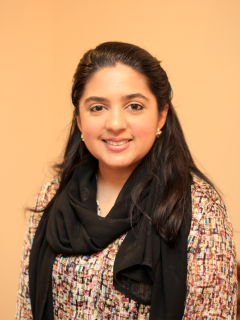 Uddin serves as director of strategy for the Center on Islam and Religious Freedom. She speaks and publishes on issues of gender and faith, as well as national and international religious freedom. In addition, Uddin is the founder and editor-in-chief of altmuslimah.com, a web magazine dedicated to issues on gender and Islam. She also serves on the advisory council for the Institute for Global Engagement's Center for Women, Faith and Leadership. Her work has been published by numerous law reviews and university presses and she is co-editing a forthcoming book of essays by women who have faced religious persecution.